Toddler Blog – Sea Cucumbers! Today we discovered all about the fantastic world of the sea cucumber! First, we practiced our animal sign language then we learnt about the different parts of a sea cucumbers body. After we learnt about how sea cucumbers protect themselves against predators by throwing up their tummies, we made our own sea cucumber puppets out of upcycled cardboard that threw up some lovely wiggly ribbon threads! Then we went to our Plymouth Sound exhibit to see if we could spot some sea cucumbers and played some fun games. Finally, we went back to the café to sing our mangrove song for one last time! We had a super day learning about sea cucumbers! Sea cucumbers are strange animals which live in the sea, they don’t look like the cucumbers that you find in your fridge! They are related to starfish and both are Echinoderms, this means ‘spiky skin’ in Latin! On the bottom of a sea cucumber there are thousands of tiny tube feet that they use to walk, some can have over 2000 feet! Sea cucumbers love to eat things which live in the sand, they hoover up sand gobbling up anything tasty and then spit out nice, clean sand when they are done. 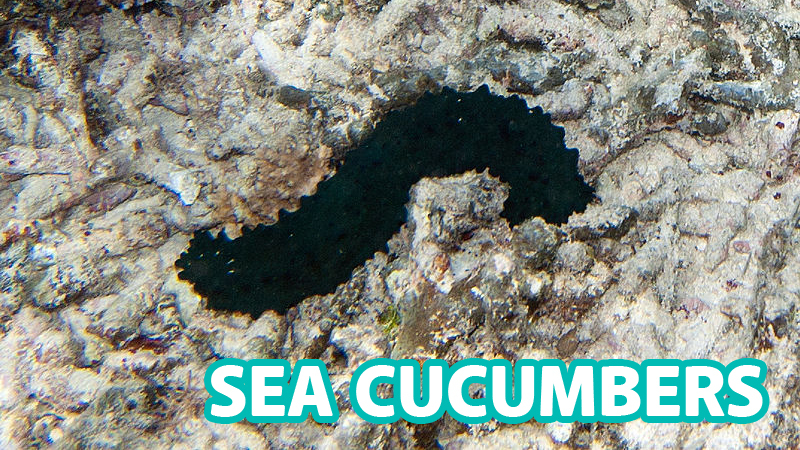 So, these sea cucumbers help keep the sea bed nice and clean by just eating their dinner! If a sea cucumber gets scared they do something a bit weird… they squirt out their tummies into your face! This will frighten off anything that is trying to eat the sea cucumber and the sea cucumber can regrow its tummy once it’s escaped. How can we look after them? Some sea cucumbers live in mangrove forests, they dig themselves lovely little holes to live in and stomp about on the sand looking for tasty treats! Unfortunately, many mangrove forests where sea cucumbers live are in trouble! They are being cut down to make space for farms and houses. There are lots of people out there replanting mangrove forests just like they are with the rainforests. We can help mangroves by letting people know just how important they are! Toddler Tuesdays is taking a break for two weeks for our Easter holidays, we will return on the 23rd of April when we’ll start learning all about animals which live on coral reefs. Our exciting outdoor Ocean Todds sessions will also be starting on the 25th of April, you can find out more about them on our website! Toddler Tuesdays is limited to 15 spaces per session and tickets are sold on a first come, first served basis! Come along early to avoid disappointment. So you want to become a Marine Biologist?